I’ve been waiting a long time to review this book for Perfect Picture Book Friday! How long, you ask? Well, I will tell you. I’ve been waiting ever since I read one of the first drafts from my critique buddy, Tina Cho. Because honestly, even from the first drafts, I knew this was going to be a real live book one day! “Rice from Heaven is a true story about compassion and bravery as a young girl and her community in South Korea help deliver rice via balloons to the starving and oppressed people in North Korea. Yoori lives in South Korea and doesn’t know what North Korea is like, but her father (Appa) does. Appa grew up in North Korea, where he did not have enough food to eat. Starving, he fled to South Korea in search of a better life. Yoori doesn’t know how she can help as she’s only a little “grain of rice” herself, but Appa tells her that they can secretly help the starving people by sending special balloons that carry rice over the border. Villagers glare and grumble, and children protest feeding the enemy, but Yoori doesn’t back down. She has to help. People right over the border don’t have food. No rice, and no green fields. I love books that are based on true events…bringing history alive for young readers is so very important. The text is lyrical and helps us connect to the main character. The illustrations engage the reader/listener from the first page to the last. This book is a perfect launchpad for any school or home discussion about helping others, compassion, and the world situation. Thank you for stopping by – I hope you will be back tomorrow for our chat with author Tina Cho…she is sharing some of her writing journey, a couple of author tips (like revision is a key ingredient to author success), and a treat recipe that includes…you guessed it…something rice-like. And if you want to read the second installment of the peek inside my life, head on over to the blog of Sarah Hetu-Radney, Writer. She’s offering a giveaway of one of her own pb critiques! Please have a safe and happy weekend! For the last month, I’ve been immersed in a different genre of books. I’m taking Jodell Sadler’s Innovative Pacing for MG/YA class. Stacks of middle grade classics sprout from every table, chair and shelf in my house. A Wrinkle in Time. The Borrowers. Little Women. And some of the newer titles as well. The One and Only Ivan. Brown Girl Dreaming. The Braid. We Are Liars. 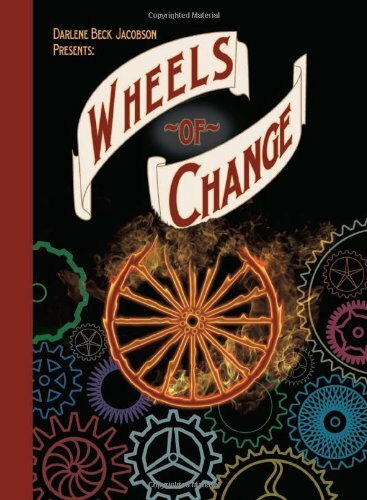 So I hope you will all bear with me as I diverge a bit from the picture book path and give you a review of a brand new historical fiction middle grade book that I just finished reading. The Fourth Lesson of Nanny McPhee: BE BRAVE! We often think that brave people are without fear…but this is not what bravery is all about. In fact, in interviews with soldiers who have won medals for bravery, they often admit to having been afraid during their action of courage. And perhaps that is the true meaning of bravery…when we proceed and follow through danger, pain or difficulties, even though WE ARE AFRAID. There are brave people all around us, dealing with all sorts of problems, but continuing on. Nanny McPhee’s fourth lesson to the children is to BE BRAVE. Honestly, I think sometimes young children are the bravest of us all…so many new situations and experiences, so much to learn in order to navigate their way through those early years. Children need to be brave about other things as well. Picture this: You are five years old and your entire family is crazy about sports….Mom and Dad play on an adult volleyball team and all your older and younger brothers and sisters love football, baseball and hockey. You, however, love music and want to learn to play the violin or the piano. It takes a lot of courage for a young child to follow his own muse if it differs from that of his family or peers! There are many children’s picture books that address this issue. One of my favorite stories is OLIVER BUTTON IS A SISSY by Tomie de Paola. In the story, Oliver Button wants to be a dancer and even though Oliver’s father would rather have him playing football with the other boys, he lets Oliver attend dance classes. Oliver stays true to his goal, even though his classmates tease him. When there is a talent show, everyone is impressed with Oliver’s great dancing, and his father and classmates are very proud of him. 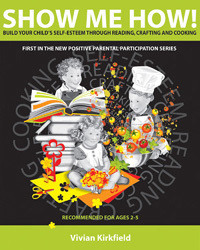 In my my new parenting book, you will find a simple eco-friendly craft project and an easy child-friendly healthful cooking activity to help you extend the learning experience after you read OLIVER BUTTON with your child. On that note, I want to let everyone know about an EXCITING PRE-VALENTINE’S DAY SPECIAL on my website. and it will go from 12:01am SATURDAY, FEBRUARY 5th TO MONDAY, FEBRUARY 7th AT 11:59pm. If you buy one copy of SHOW ME HOW! at the regular cover price of $44.95, you will get a second copy for FREE! YOUR BFF OR ANYONE ELSE YOU LOVE WHO DESERVES IT AND NEEDS IT. YOUR CHILD’S DAYCARE PROVIDER OR PRESCHOOL TEACHER. A FRIEND OR RELATIVE WHO IS HAVING A BABY SOON. A GRANDPARENT WHO TAKES CARE OF YOUR PRESCHOOLER AND WOULD APPRECIATE THIS SHORTCUT TO STORY RECOMMENDATIONS AND EDUCATIONAL FUN-FILLED ACTIVITIES THAT BUILD SELF-ESTEEM. At the BOGO price, you are paying $22.50 for a BRAND-NEW FRESH-OUT-OF-THE-BOX SIGNED-BY-THE-AUTHOR COPY (some sellers on Amazon and Alibris are charging over $40 for a USED copy). I’m posting the sale now so you will be able to order it in time for Valentine’s Day. The SHARE THE LOVE BOGO EVENT will only be available, ON MY WEBSITE, by clicking on the PayPal button. Don’t let this opportunity pass you by! I hope you’ve enjoyed the Nanny McPhee lessons…stop by tomorrow for the last lesson: HAVE FAITH!